Loving the work of our Philippines based partners – the Honor 1000 Movement. They’ll impact the lives of 2,500 women with small business loans this year – that means lots of children stabilized in school. 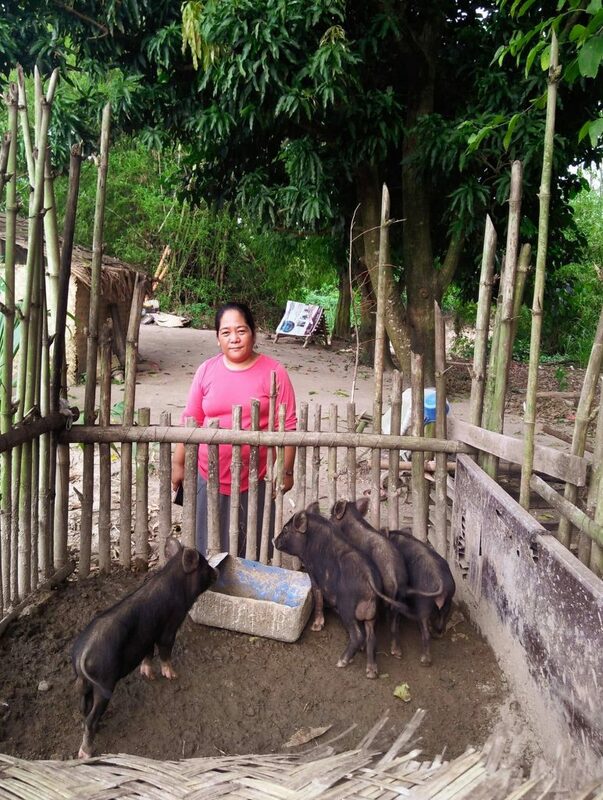 With the increasing demand of native pigs in her community, this mother is grateful that her first loan from Honor 1000 Micro-Finance Program enabled her to add two female pigs to her business. This increases her expected sales and as well as her motivation to grow her small business. With the help of her husband’s farming, they are determined to provide for their family and to see their three children graduate school. Wearing her empowered smile, this mother from Siquijor is happily showing us her new source of income. 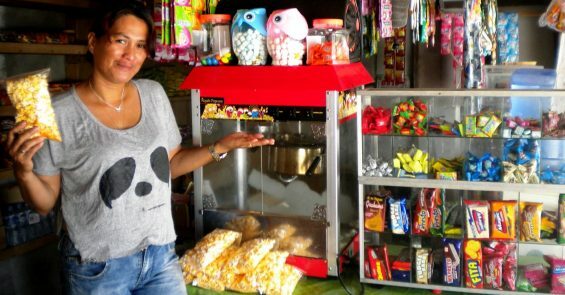 She was able to buy this popcorn machine thanks to her added capital from our Microfinance Project. She is driven to grow her business and see her two sons graduate. The Honor 1000 micro-finance project is continuing to bring hope to Filipino women and their children. Over 2,000 women are supported by this project by learning small business management skills and earning incomes to support themselves and their children - thus keeping children in school, removing the attraction of migration work and keeping families safe from human trafficking. This loving wife and hard-working mother is part of the Honor 1000 Micro-finance project. She is grateful that her small grocery store is able to sustain their family of eight. This lady is part of the Honor 1000 Micro-finance project in the Philippines. Because of the small loan she was able to receive, her business has grown, she has paid back her loan and is now able to save money. She is doing so well that she is also able to supports her nephews through school. This is just one of the many women who are part of this amazing program. The Honor 1000 project is changing the future for Filipino women. From owning just a few chickens in 2001 to now owning cows, one mother is determined to succeed in providing for her 5 children. She now dreams of adding hog raising to her business and is grateful for the opportunity to grow her dreams of becoming self-sustainable.